If you’ve ever had a furnace or air conditioner break down in the middle of a cold winter night or during a sweltering summer afternoon, then you know just how bad things can quickly get. Luckily, most professional HVAC service providers offer emergency repairs just for these inopportune moments. So, how exactly do you deal with these HVAC emergencies, and what options do you as a homeowner have when the worst heating and air conditioning problems strike? The Right People. Most service providers offer emergency heating and air conditioning repairs but not all of them. The NATE®-certified professionals from Sierra Air understand just how harsh the climate can get in and around Reno, and they are prepared to come out for a service call 24/7. The Right Price. Emergency HVAC repair prices vary widely. The costs could range from $50 to over $100 or more depending on the service, labor and parts that need to be replaced. Additionally, you can expect additional fees for service calls during off-hours. These mean odd hours of the night, holidays or weekends. Luckily, asking for an estimate is usually free and should give you a ballpark number for repair costs. The Right Fix. Major issues with the condenser, evaporator or motors should always be handled by a qualified professional. However, simpler problems like clogged filters and obstructed ducts and vents can be easily handled by yourself. Note, however, that only a professional would be able to adequately diagnose and fully repair any underlying issues regarding your HVAC system. The Right Time. For older heating and air conditioning units, sometimes a full replacement would be more prudent than small but frequent repairs. Ask your contractor if replacing the unit entirely is more advisable than having to call for repairs often. 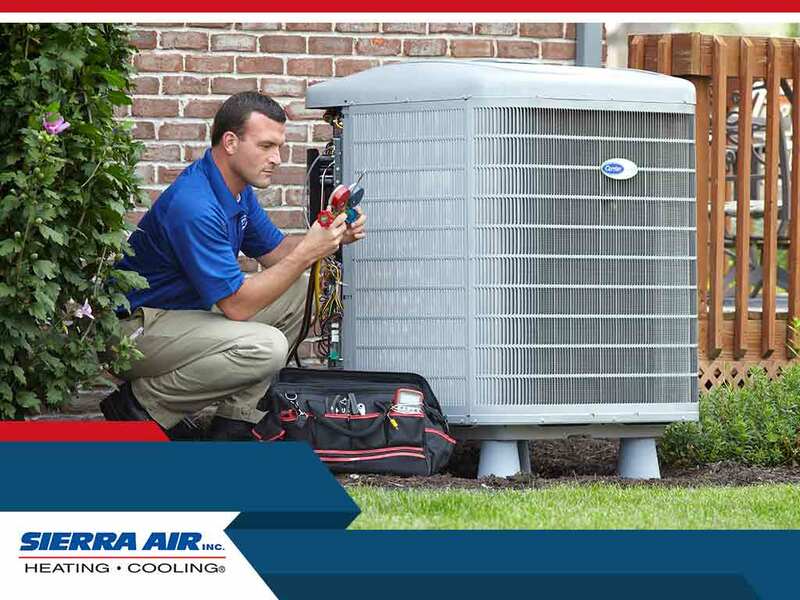 Sierra Air is committed to ensuring quality service for all your HVAC needs. Call us at (775) 800-5500, or fill out our online contact form to schedule a visit today. We serve Reno all surrounding areas.